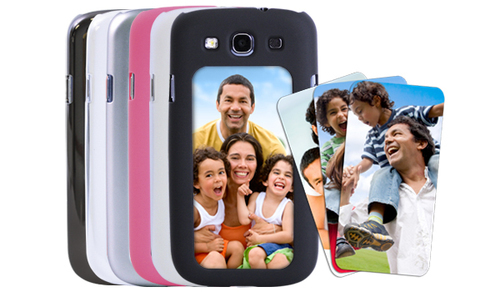 ChromaLuxe SwitchCase Snap Frames – a case for the Samsung Galaxy S3 that allows you to swap out your inserts as often as you like! The case has a durable hard shell design that snaps onto the back of the phone to hold in the interchangeable aluminium insert. The insert is the same great quality as our ChromaLuxe HD metal prints, which offer the most vibrant images and photo realistic colors.